The first ABC Conference aims to showcase research from the Asia-Pacific region focusing on issues related to early communicative development including first and second language acquisition, bilingualism, language representation in the mind and brain, development of social and pragmatic skills, culture, and interpersonal communication. Lexical tone is used in over 70% of the world’s languages and tone languages are spoken by more than 50% of the world’s population. 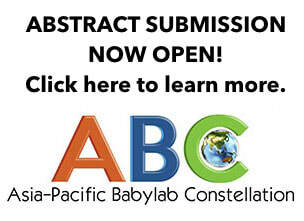 There is a concentration of tone language speakers in Asia, the home of the ABC (Asia-Pacific Babylab Constellation) and in Singapore, home of this inaugural ABC conference. Three areas (A, B, C) of tone processing research are considered here, and in each, an instance of my (1) published, and (2) new, yet to be published, research is presented. The first-ever experiment on infants’ perceptual attunement to lexical tone – plus various subsequent reports. A newstudy of toddlers’ and children’s development of lexical tone production. A group of visual augmentation studies: better tone perception by adults in auditory-visual (AV) than in auditory-only (AO) modes. A new study on infants’ perceptual attunement to lexical tone in AV vs AO modes. Studies of adults’ pitch perception in the context of speech or music by (i) tone vs non-tone language speakers and (ii) musicians vs non-musicians. A newstudy of pitch perception in adult musicians vs non-musicians who are either tone language speakers or have merely been exposed to a tone language. Understanding early language and speech development is an integral part of understanding infant development. Children may grow up with two or more languages from birth (or indeed, prior to birth), a Bilingual First Language Acquisition (BFLA) setting. Alternatively, they may start off hearing just a single language before also regularly hearing a second, an Early Second Language Acquisition (ESLA) Setting, or they may hear just a single language throughout early childhood, a Monolingual First Language Acquisition Setting. The latter is probably quite rare in much of Asia today. The former two, BFLA and ESLA, are likely quite common. Often, however, infant development researchers do not make a distinction between them, and speak of "bilingual children" without any further differentiation. This talk explains why it is crucial to distinguish between BFLA and ESLA. It is only when we fully take into account the difference between these two dual language learning environments that we can come to real insights about processes of early dual language and speech development and other issues relating to early bilingualism such as the purported bilingual advantage hypothesis. Command of language is a fundamental life skill, cornerstone of cognitive and socioemotional development, and necessary ingredient for successful functioning in society. Of course, child language on average grows remarkably in development. By contrast, stability is concerned with maintenance of an individual’s position in a group through time. Relative to the “developmental function,” underresearched, but enduring, questions about child language concern stability of individual abilities and performance over time and moderation of stability by various biological and social factors. This talk focuses on stability. I draw on several large scale, prospective, longitudinal studies to explore stability of individual differences in multiage, multidomain, multimeasure, multireporter measures of child language from infancy through adolescence. In doing so, I introduce a solution to the developmental challenge of assessing age-appropriate measures of stability through the calculation of latent variables. Latent variable analysis taps into a core language skill. Then, I document the robustness of stability of individual differences in core language skill across language, gender, birth status, ethnicity, and socioeconomic class as well as diverse medical risks, such as preterm birth, dyslexia, autism spectrum disorder, and hearing impairment. Core language skill proves to be a highly conserved and robust individual-differences characteristic. Stability of core language skill holds even accounting for child nonverbal intelligence and sociability and maternal age and education These considerations of stability of core language skill lead to concrete recommendations concerning early intervention to improve lagging language in young children and consequences of stability in of core language skill for child mental health.